In this lesson, we will learn how to use position vocabulary to describe the location of 2D shapes relative to each other in a picture. The triangle is below the rectangle. What is below the circle? 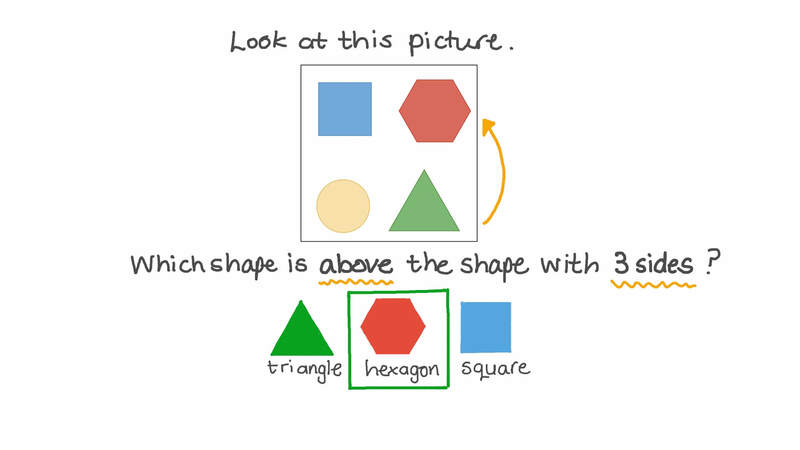 Which shape is above the shape with 3 sides? The square is beside the rectangle. What is beside the triangle? The circle is above the square. 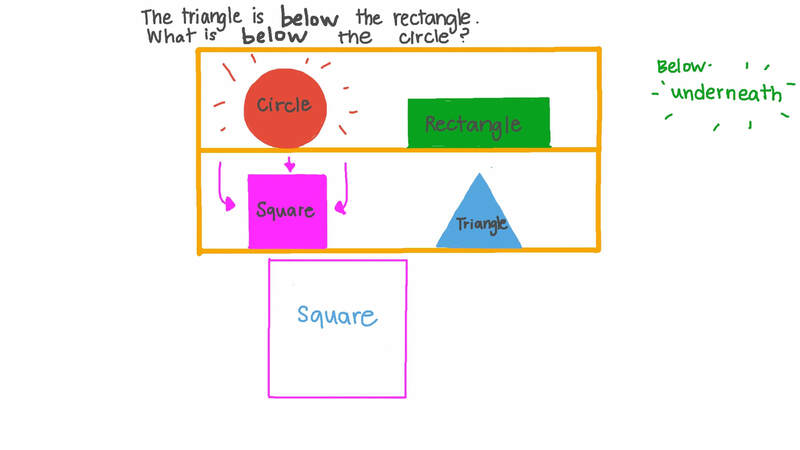 What is above the triangle? The triangle is next to the circle. What is next to the rectangle? 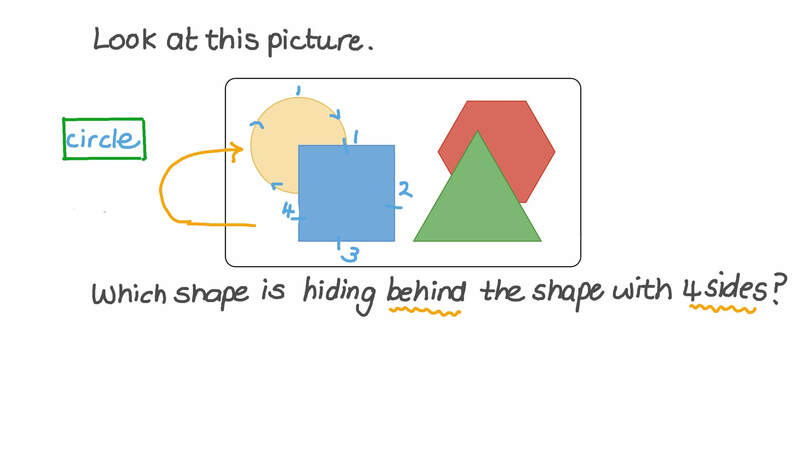 Which shape is hiding behind the shape with 4 sides? Which shape is under the triangle? The red square is right above the one.